By Robert French on 08/14/11 • Leave a comment! Air purifiers are often found in homes and offices as people become more concerned with air impurities. Most of them still use a source of energy but designers Mathieu Lehanneur and David Edwards had a more natural idea: why not use nature’s air purifiers to serve the same purpose in your home and office? Plants are best known for their ability to scrub toxins from the air and release pure, fresh oxygen. 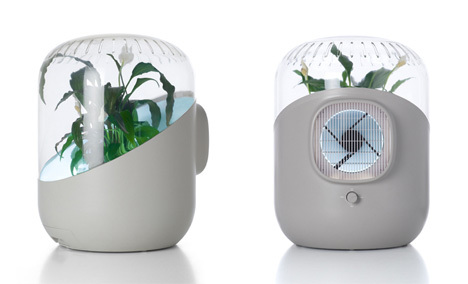 The Andrea air purifier combines nature and technology into one eco-looking and effective air-scrubbing product. Andrea uses nearly any household plant you supply and takes advantage of its purifying properties to absorb and neutralize airborne toxins. The powered fan pushes air over the plant’s leaves and through the roots of the plant and soil to increase the speed of the plant’s filtration process. 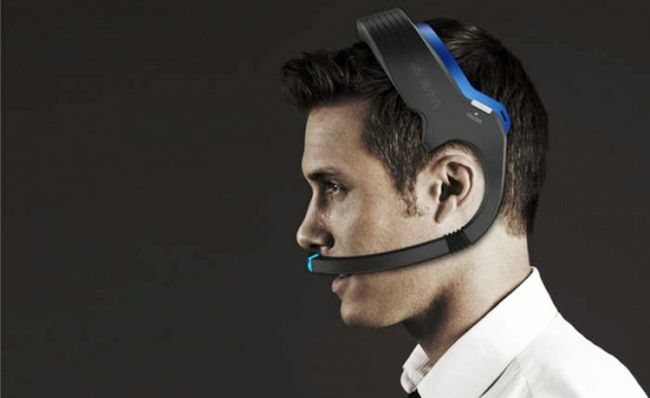 According to Andrea’s designers, the device removes toxic gases from the air at a rate of over 1000% faster than plants alone without the technology.